Last post I introduced the Quest. I briefed you on the challenges presented to us by CNY. Here is an interesting update. Our samples production has moved to the top of the production line. As one supplier noted, “Your sample is arranged in the first place of all the samples”… This is no small feat, considering when I placed the order the factory workers were on vacation and the assembly line was backed up. Now how did we become first in line? Followed Greg’s guidelines to set a professional tone from the start. Used 3 special tools that shattered perceived language barriers. Here’s more: You, too, are very close to getting the same level of cooperation from your supplier. The first thing we are going to discuss is the professional tone that you must set. .. this is where most importers mess up. You see, what most importers do is assume the role of “CEO” when emailing a supplier. This is simply Not Cool. The first thing this will signal to your supplier is that you don’t have Purchasing Power. You should instead tell them you are the Purchasing Agent or any role other than the lead decision maker. Greg mentioned a benefit that’s overlooked. By assuming the role of a Purchasing Agent, you could blame things on your boss and in return preserve your relationship. “My boss said the price is too high”. Here’s a Good Cop Bad Cop Example.. As you can see my Manager is really pushing for that sample! If you haven’t already, be sure to read the post that details Greg’s approach when first reaching out to a supplier. It’s crucial. It only takes a few seconds to make the right first impression, so write the introductory email as if Jeff Bezos himself was your manager. Now, naturally, your suppliers will begin to think you are the real deal. And you are! You are not just a “one-man-show” but a company that’s ready to offer them an opportunity to export to North America… That’s huge. Even if you don’t plan on having an inspection, mention this anyway. You will be surprised how much more care they will dedicate to your order just for including this. Now that you have an organizational structure, you will eventually carve this into your own flair, your own style, and build a business that’s unique to your vision. If you mess up while communicating with your supplier, it’s not a big deal. Remember, you are the Purchasing Agent, not the Manager. Hopefully, this fact allows you to gain some breathing room and not be so hard on yourself. What’s next is that we dedicate at least an hour a week to read up about the industry and Chinese culture. Can you imagine that? There’s a high probability the Agent you’re communicating with has left their homes, traveled to unfamiliar territory in search for a better life. Once I began to read more about the culture I began to loosen up a bit. The Agent you communicate with is probably a recent graduate that speaks English, is fascinated by Western culture displayed on T.V. and loves every opportunity to chat with an English based Purchasing Agent to improve her or own English Speaking Skills. 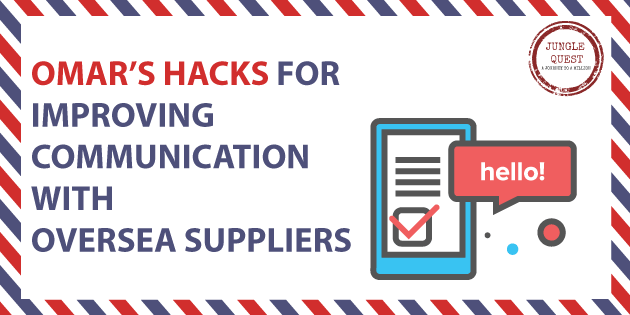 As long as you’ve set up a professional tone in the initial emails and protect yourself with the methods described above, you can relax and approach your supplier’s agent a little less tense. 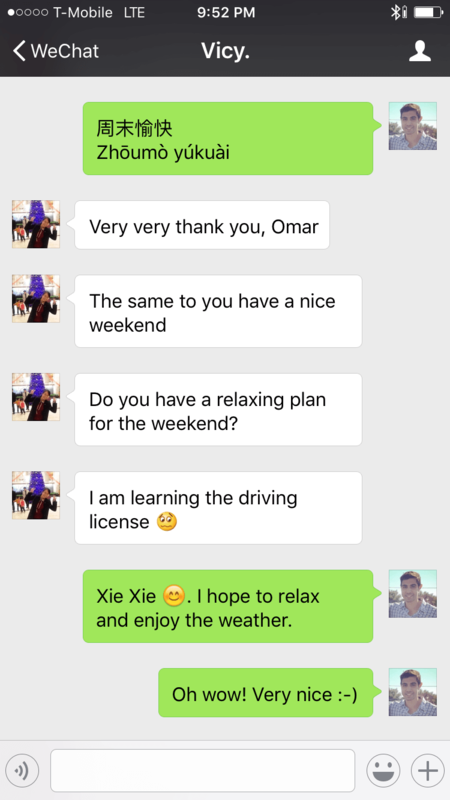 Check this out… After wishing her to have a Nice Weekend in Mandarin, she opens about taking her Drivers License exam. You can tell how comfortable I am speaking to her. It also seemed that the Agent went out of her way to look out for the order. When you follow the steps above you will find yourself naturally able to communicate with your agent and this, in turn, will produce positive results for your bottom line. Now, let’s put this all together. Did you notice the Mandarin translations of words I used such as “Thank you” and “Hello”? You did. Good, then once in awhile incorporate Google Translate into the dialogue you have with your suppliers. It means the world to them, and it will only take a few moments of your time. The next tool that is pretty savvy is Jing. You want to get into the habit of spoon feeding your agent bite-sized information. Don’t consider anything “obvious”.. That’s a word we should all delete. The beauty of Jing is it makes it incredibly simple to capture screenshots and videos. The simpler you make the life of your agent, the easier your life will be. A picture says a thousand words, and for the most part, it speaks every language known to man. Lastly, the most exciting tool of them all, WeChat. This Social Messaging app receives 650 million MAUs (monthly active users) and has taken Asia by storm. I would bet each one of your prospective or current suppliers spend a considerable amount of time messaging and transacting in commerce on WeChat. This Social Messaging app receives 650 million MAUs (monthly active users) I am simply amazed this is not discussed more in our industry. Skype and Whatsapp are both cool and everything, but with WeChat, it’s almost like you are on their territory. They are hospitable, outgoing, and incredibly quick with communication. It’s an overlooked Social App in the world of International Trading with China, but it’s a crucial one that will pay off dividends. 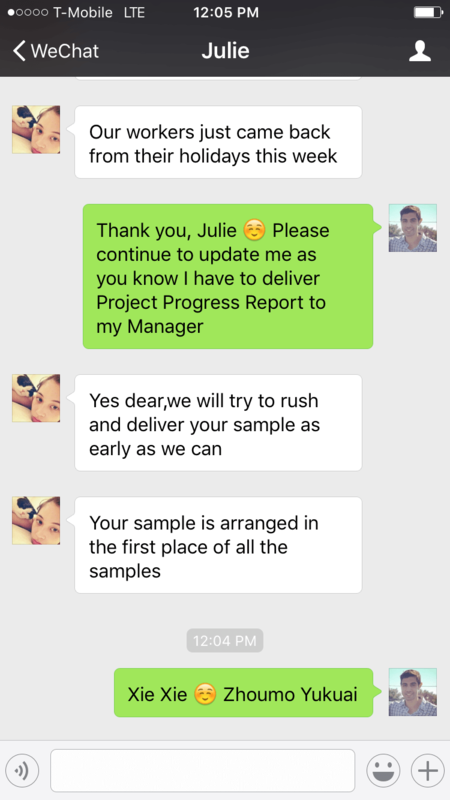 Thanks to WeChat, we stayed in the minds of our agents during the Chinese New Year Hiatus, and managed to make sure the samples will be completed on time. All in all, when you set the right tone, adopt an open mindset, and utilize a few tools, you will quickly see that it’s truly a fascinating time to be a part of international trade. The speed at which we can advance is astonishing. How did you spend your time during the Chinese New Years? Great article. I downloaded WeChat, tried to sign up and was instantly asked for a friend verification. Any chance you could email me? Soooo Great insights Omar! Will continue following your journey with big interest for sure! I’ve finally choose my first product and it’s now time of contacting suppliers. Some people suggest me to present myself as a man because women are taken less seriously and have poorer responses rate than men, do you think this could be a reality? Thanks you so much! Do you want to know Jack Ma’s (founder of Alibaba) “Secret Sauce” ? Now remember, most of the scripts when communicating with a supplier, including the one I use, takes me out of the Decision Maker..
I’m not an owner or “CEO”.. I’m a “Purchasing Agent”.. It takes the pressure off and gives me wiggle room to negotiate.. I simply want to tell you that I am just all new to blogging and absolutely liked this blog site. More than likely I’m planning to bookmark your blog . You amazingly have wonderful writings. Appreciate it for sharing your webpage. Fantastic ideas Omar! I am in the sourcing phase and I came across your blog today. I was very intrigued with the concepts as at times, communication can be difficult with suppliers. 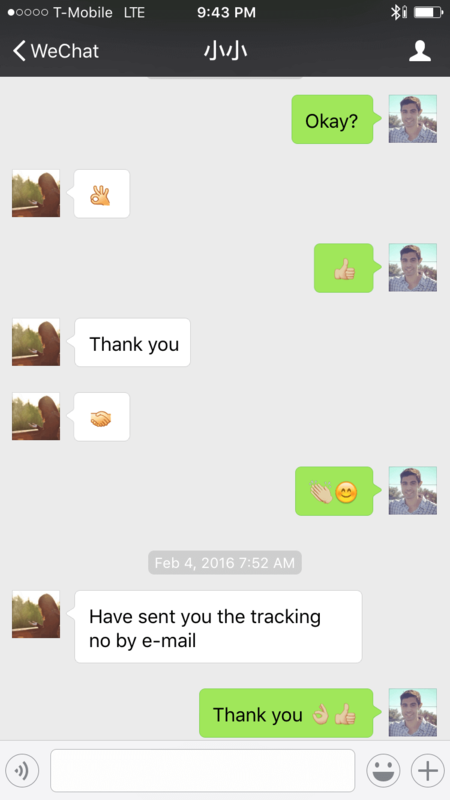 I employed your tactics with WeChat this afternoon with fantastic results! As fellow Houstonian, I am looking forward to your updates and progress!! Yeah it’s amazing how WeChat could really speed things up! Job well done! I really appreciated the details you are providing to us, keep up the good work. Let me know if you need clarification and or would like me to discuss a specific topic on your mind. Thanks Omar for all your insights and for documenting a process that can seem risky for the newbie Amazon entrepreneur. I really appreciate the detail you put in posts, particularly with accompanying screenshots. Question: is your inspection in China lieu of inspection by yourself — ie you will be sending the shipment straight to Amazon warehouse? Or is this just inspection to ensure basic quality? A bottleneck is created by the need for me to inspect items before sending to Amazon, but before your post I did not realize there was a possible alternative. Look forward to your response. Thanks for your positive note! The inspection company typically offers different services. This service is designed to ensure that the quality of the goods you ordered matches the specifications and or samples you have given them, and can go over basic things such as checking on barcodes, labels, each carton has correct # of products ordered, etc. I have not used this service before, but if I were to add this service I would not see the need for an Inspection company in the U.S.
Now, the inspection I made note of in the post was simply for Product Quality Inspection. *Was the cap on the water bottle made to fit the water bottle? *Are the zippers on the backpack functional and zip all the way? *Did they use the micro fiber material I requested? As of yet I don’t see the need in both services, and If I were to choose one over the other, I would most likely choose the Product Quality Inspection because you can make sure the supplier has followed your very detailed requests and that the remaining 70% (or around this %) is not released until the inspection is approved.. In regards to inspection approval, how can I be sure that the inspection was approved? Do i request the supplier send an approval letter or is that the inspection company job? As far as the inspection goes, the products are not sent to the inspectors, rather the inspection team visits the factory. Maybe it will go up to 35% down and 65% after, but I have never had this happen to me. Even if you do not mention anything about inspections, it’s normal to expect to not pay more than 30% to start your order, and it’s completely normal for you to tell them that you will have an inspection team visit once production is around 80% to 100% complete. As far as your payment, if you have verified their credentials, you can wire transfer the deposit to their bank account, and this transaction could be covered by Alibaba’s trade assurance. 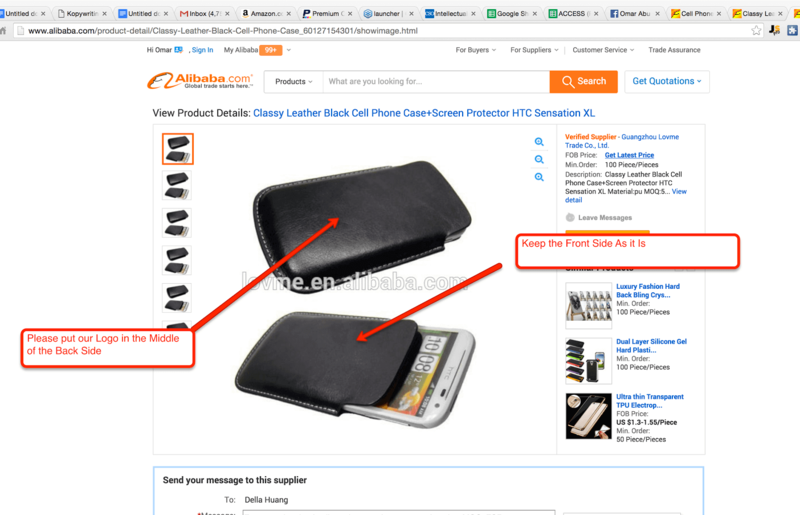 On Alibaba.com’s main website, start a chat with the operator, they are UNBELIEVABLY supportive and quick.. Thanks for all these wonderful tips, very useful post! The first contact and follow up templates seem to work perfectly for me 🙂 I’ve managed to narrow down my suppliers list to 5 and was wondering if Trade Insurance by Alibaba is the safest payment method for me? Or is it paypal? 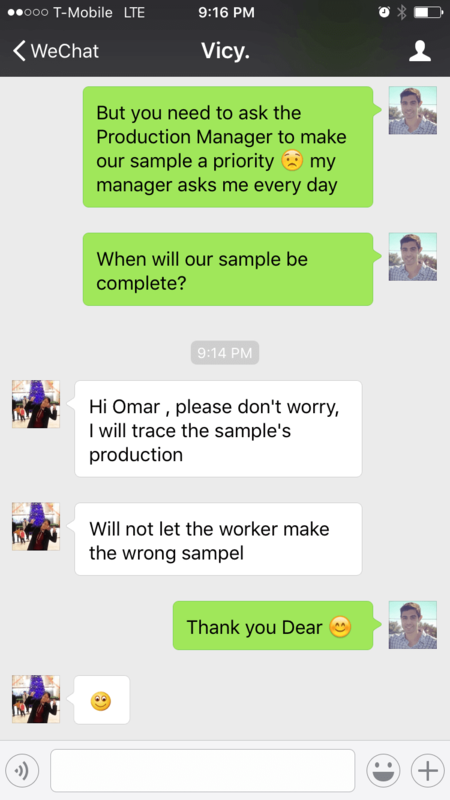 So suppose I already know in advance that I am not going to have my products checked by inspection but I tell the supplier anyway, how does this practically work? I understand it can be a benefit for me since I only pay 30% upfront and after production the other 70% (around 30 days). Also I would know more care has been dedicated to my product. But when supplier has finished the product they now expect to send it to the Quality Inspection Team, how do I tell them I am not going through with the inspection team, I will pay the other 70% and I want to ship the products directly to me? wow furniture has high margins and sounds like a very exciting..But how did you deal with the returns? I might go to to the Canton Phase 2 and 3 depending on my schedule, but I should be in Hong Kong around the 20th of the month. I’ll be happy to help! Can you please give me a little bit more detail? It’s a great pleasure to read your columns right on time since I am going to the Canton Fair. Are you going there? no brick and mortar stores, no employees ( except VA when grow too fast), no rental space, no equipment, no utilities, no inventory insurance….+ you can travel anywhere and still run your business. You are lucky to work with a fantastic group. Big favor: where can I find the different types of keywords use and definitions? You are So correct, vet them first before giving them an opportunity to direct message you.. Otherwise (just as you pointed out) they could message you more times than you would like.. Thanks for your great and valuable inputs. My position with the salesperson is to give them my skype or whatsapp only after I see that they can communicate clearly and they show good salesmanship otherwise they can skype you head out every 5 minutes. Thanks for the information about the different inspection companies and sharing all your knowledge with us. I am going to line up some emoticons and put a few Chinese words in my communications. For Wechat – there are tons of things people are doing with it – making Wechat groups with their QC companies and the factories and sourcing agents – putting in documents and more – but I always recomend people to still get the deals confirmed in email – at least have them email you the files! Not sure how a Wechat post would go down in any type of disputes – plus the history is probably not getting saved anywhere… or at the very least save screenshots of it like you did with this post – I save them in Evernote! I should have made it very clear that WeChat is NOT a substitution for proper documentation..but rather an aid to expediting communication..
We should ALWAYS gather email confirmation and proceed with the proper contracts in place..
PS: I love Evernote but I have been experimenting with Workflowy… super cool ~ Check it out ! 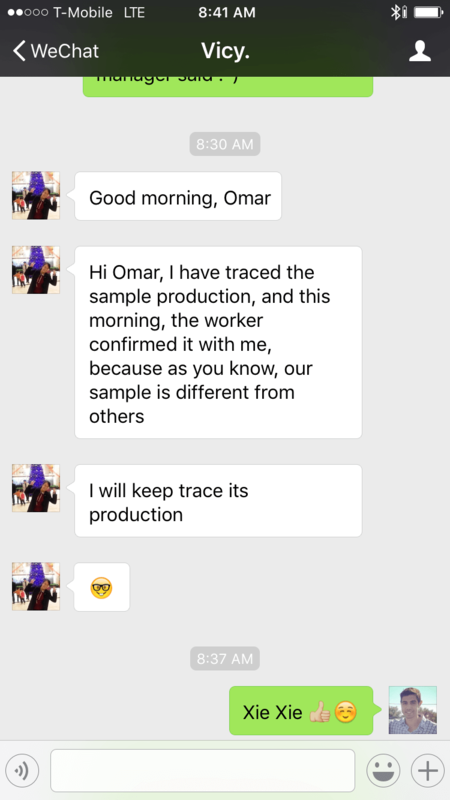 The best way is for you to get in touch with them, tell them everything about your project, send them pictures and emphasize exactly what it is you will want tested..
Great info, thank you Omar! How do inspections work? Where could I find someone to do one for me before the product is shipped off to amazon? Personally I found it difficult to find a supplier to accept PayPal for anything beyond a Sample Fee.. If you are determined to get them to accept PayPal..
2. Only release the remaining 70% when your goods have passed an inspection. Inspections are very cheap these days considering what they can save you in the long run.. A typical inspection for one man day should not exceed $299..
You can also aim to get your purchase covered under Alibaba Trade Assurance..
Best of luck and let me know if I can assist further! Omar, do you find it easy to find companies that accept PayPal? Are you only using companies that will accept PayPal? It seems like all the companies I’m negotiating with (all Gold Suppliers that have been on Alibaba for a long time) will not accept PayPal. If they won’t accept PayPal is it an automatic deal breaker or would you just take an additional step of maybe have an onsite inspection done or something? I’ve got a supplier that everything seems to be falling into place with but they don’t take PayPal. Thanks! That being said, if I knew that my suppliers prefer this mode of communication, I would make an effort to use it more.. However, most of the data I see points to the likelihood that your supplier prefers communicating on WeChat over any other chat messenger out there. Give WeChat an opportunity and let me know your thoughts on it ! Great article Omar, coming from a different culture I totally understand how important small gestures can simplify ones endeavors. Absolutely ~ Small gestures and acts of kindness is a universal language and one that’s helped me out a lot on this Journey ! When the payment is processed, your name is given, but I don’t remember that the title (purchasing agent,ceo, buyer, etc.) is also given. Wow, this post is gold!